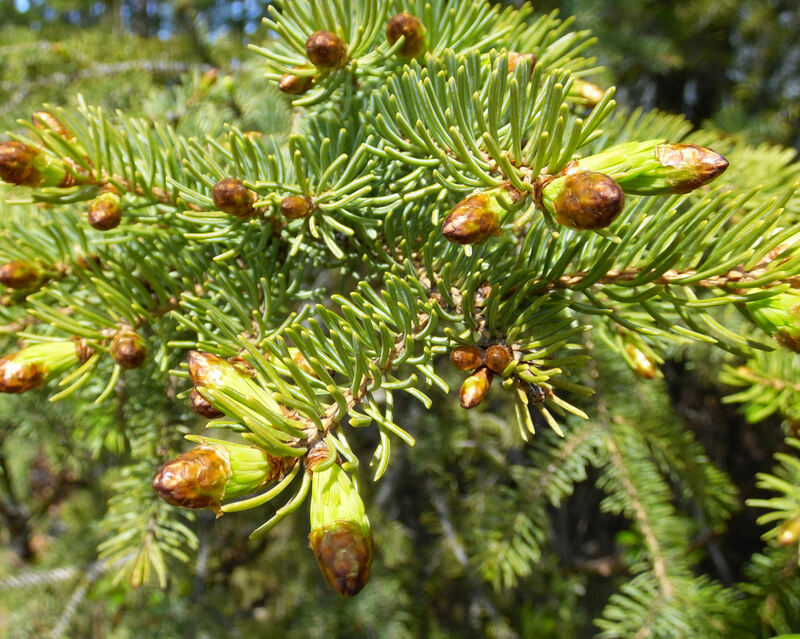 This year the spruce tips are coming out a little later than normal. 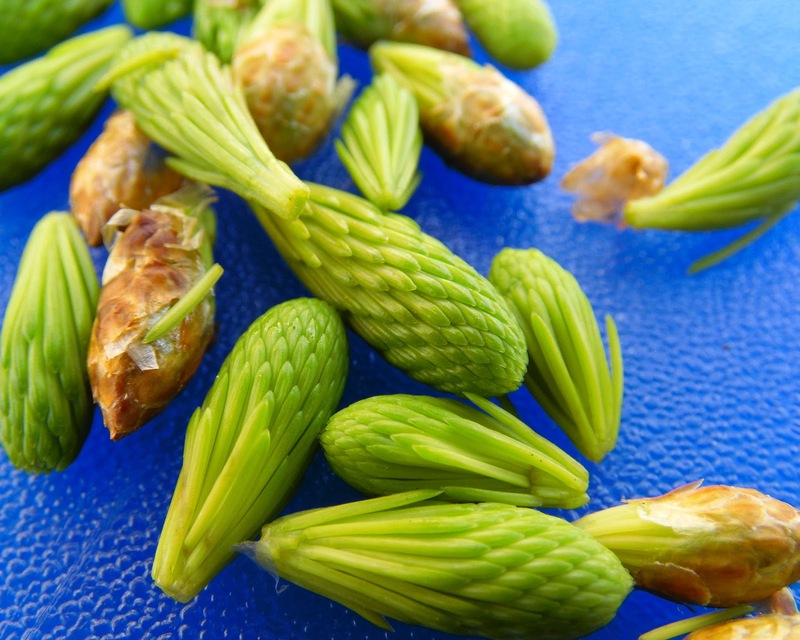 Spruce tips are an easy to forage wild edible that's widely available. They have a green, citrus-y flavor that's bright and my family is pretty wild for it. Any time you're trying a new wild edible, pick a couple and taste them before harvesting, because you want to make sure you like the flavor! If they need some sort of process to eat- like some mushrooms need to be cooked (NEVER PICK MUSHROOMS UNLESS YOU KNOW WHAT YOU'RE DOING!) - pick a couple, bring them home, and cook them. Just make a note of where you found them. 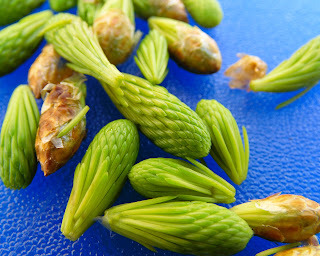 Spruce tips can be eaten raw. You're looking for just the tips that come out in spring- they will be a light green and the needles are quite tender compared to the rest of the needles. You pick them like berries, just pinching them off the tree. As with any wild edible, harvest sustainably. There are enough tips that you can collect from different places on the trees, and leave most of them in place. These are the picked tips. See that papery brown coating? It slips right off. Take that off, and discard it. Make sure there is no debris on the tips. 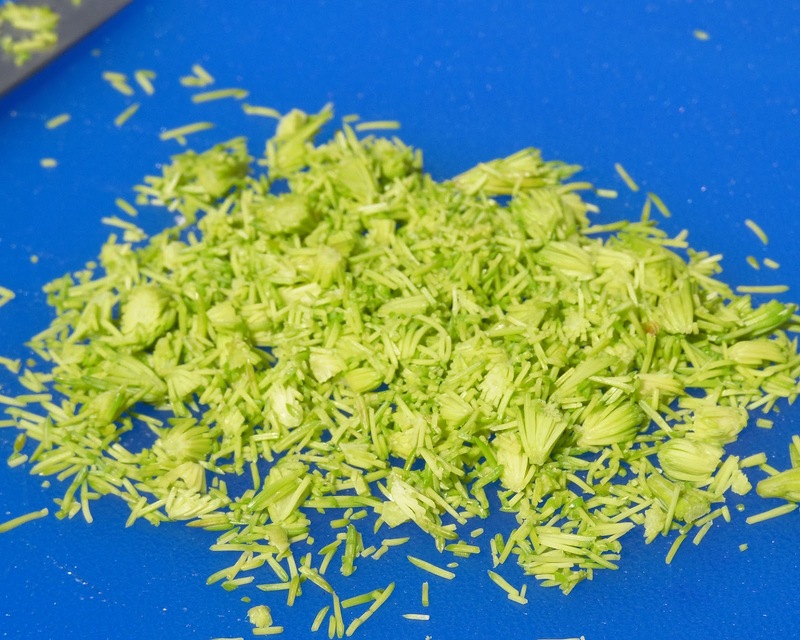 Chop up the tips. You could use a food processor- but I don't like even the mild heat that a motor can generate, or how much gets stuck or pasty because of the slight moisture. Chopping a bunch at a time by hand doesn't take very long. 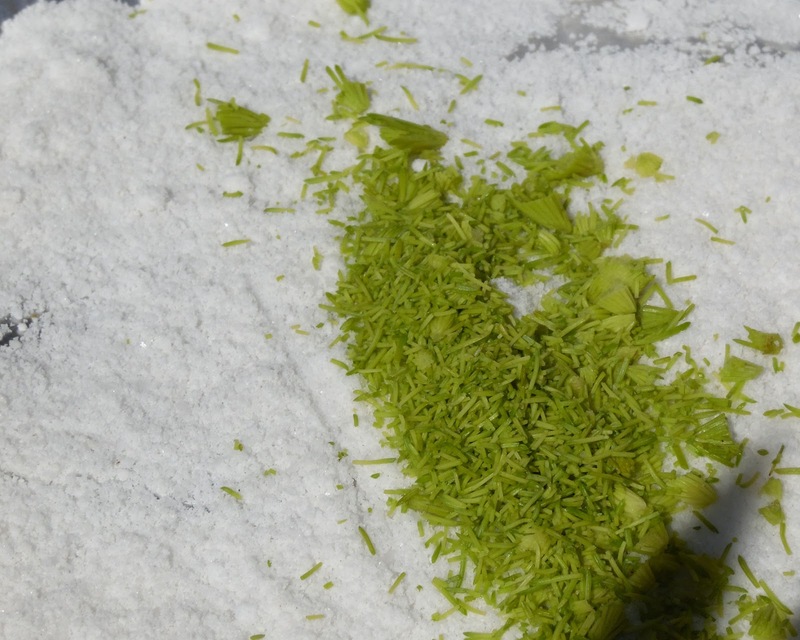 Mix it with white sea salt. 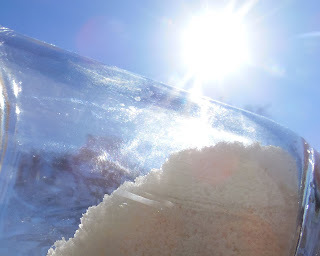 In this case, I got some sea salt from an artisan salt maker in Valdez. She gets sea water and evaporates it. I wanted my spruce tip salt to be made using Alaskan sea salt. I like a 50/50 mix. This is just some of the tips added. 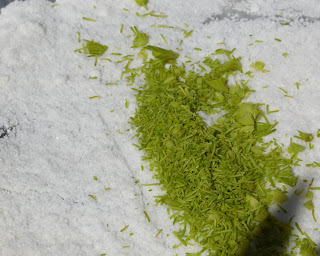 Spread it in a thin layer in a baking sheet and allow to dry overnight. The salt helps it dry quickly. Then put in jars. 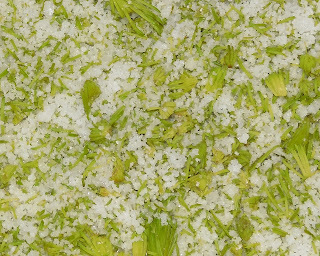 Spruce tip salt is delicious on vegetables, fish and chicken- and probably good on pork. I'm not really a pork eater. It makes a lovely, personal gift.